There are many reasons individuals might rent a treadmill. Some cannot afford to buy items like a treadmill outright, while others only need it for a certain period of time. Whatever the reason, there are many advantages to a treadmill rental and a number of ways to go about renting equipment for the home. A treadmill rental allows an individual to take home gym equipment for personal use by agreeing to pay a set monthly amount for a minimum rental term. To rent a treadmill, most rental shops require at least a four-month term, which allows people who have temporarily relocated to stay in shape while away from home. Some individuals, however, rent treadmills for up to 5 years to stay in shape and avoid the high cost of outright ownership. Overall, renting equipment with the option to own is more expensive than buying upfront, but it allows anyone with an extra $50 each month to enjoy the advantages of a home gym. The cost to rent a treadmill depends greatly on the model of equipment selected. Choosing a top-of-the-line treadmill with all the bells and whistles may cost over $150 per month, while a budget model can be a mere $50 monthly. The length of the rental term also affects the price as individuals who agree to rent for five years pay less per month than those with a six-month term. Choosing to have the treadmill delivered to a home instead of picking it up can add up to $300 to the cost. Renters who select a “rent to own” option will eventually own the treadmill completely, so long as they pay the monthly amount for the length of the rental term. The amount of time it takes to own a rented piece of equipment varies by company, although it can take as little as one year and as many as fifteen. Still, this is a very popular option because many individuals simply don’t have the money to buy a new treadmill at retail cost, which may be over $1,500. Breaking the price into $50 increments, even if the final price is ultimately higher, is easier to handle. The main advantage to treadmill renting is the ability to get in shape and stay active at home. Renting a treadmill means there is no need to maintain a gym membership or drive to the gym for a quick workout. Renting is also more affordable to many individuals who cannot afford a $2,000 piece of equipment outright. Many people also rent a treadmill before making the commitment to buy to ensure they are choosing a model they’ll enjoy. Some people even rent gym equipment when renting a home out of town, in order to stay in shape while they are out of town. Although renting a treadmill requires a good amount of research and consideration, it’s an easy way to create a home gym that’s both affordable and easy to maintain. Furthermore, there are many rental options available that are designed to suit a variety of tastes and budgets. Renting gym equipment like a treadmill makes it possible for anyone to meet fitness goals and stay in shape at home.Although renting equipment can be a bit costly, there are many ways to save money on your treadmill rental and enjoy a durable, quality piece of gym equipment in your own home. To save on the fees that may be charged, arrange to pick up the treadmill if possible. Delivery charges for bulky and heavy items like treadmills are typically very expensive and may be avoided. Start by contacting local gyms and rental companies to determine prices. If there are none nearby, call other regions to find a treadmill available for rent. Although it may be necessary to drive a long distance to pick up the treadmill or borrow a truck from a friend, it’s possible to save a great deal of money by avoiding the costly delivery charge. Always carefully select which extras you want on the treadmill because this will have a big impact on the rental price. For those on a budget, avoid the latest models, as well as treadmills with LCD screens. Instead, select a model that was released one or two years ago. Selecting high-impact or advanced models may cause the price to double. When possible, select a budget treadmill or a folding model that is available for an affordable monthly price. Lastly, try renting a used treadmill instead of a new one to save even more. Definitely consider insurance options, which may save money in the long run. Most rental companies offer optional insurance plans that protect the equipment in case of breakdown or damage. While some agencies require a renter to use the company insurance, other places allow customers to use third-party insurance or homeowners/renters insurance to cover the treadmill. Although it adds to the up-front cost, selecting insurance is the best way to avoid costly repairs or replacement down the road. It’s necessary to carefully read the rental contract before signing, as there may be many hidden fees buried in a treadmill rental agreement. One such fee is the extended lease agreement, which can be very costly for those who choose to stop renting the equipment. Early cancellation fees are common and typically cost hundreds of dollars. Another common fee is the wear and tear charge, which is assessed based on normal damage that occurs in the machine over time. The last tip to save money on your treadmill rental is to stick to the budget that was decided upon beforehand. Always determine exactly how much you can afford to pay each month before agreeing to anything. To stay within the budget, eliminate extras, choose an older or used model, and borrow a friend’s truck to avoid delivery charges. Individuals who go over budget on rentals typically end up defaulting on the agreement and owe large fees due to cancellation costs. While a treadmill rental can cost a bit of money each month, there are many ways to reduce the cost and still get a piece of equipment that’s durable and enjoyable to use. Use these tips to get the best price on a rented treadmill and remember to watch out for hidden costs in the contract. Renting a treadmill is a great option for anyone who does not have the cash to buy a treadmill right away. It’s also a good way to test a model before purchase. When it comes to where and how to rent a treadmill, read on to find out everything you need to know about the cost and options available. Customers are usually offered the option of renting from either an online shop or through an in-store rental. In-store treadmill rentals are a good option for many people, as there it is possible to see and test the equipment before taking it home. This can be necessary to test the weight resistance and general feel of the machine. Still, it’s also possible to test equipment at a local gym before renting online. Some people prefer using a rental company with a physical location, however, because it gives them a sense of reassurance that if there is a problem with the treadmill in the future, there will be somewhere to go. Lastly, try contacting local gyms to see if they rent gym equipment to clear space. One of the more popular ways to rent a treadmill is through a rent to own option. 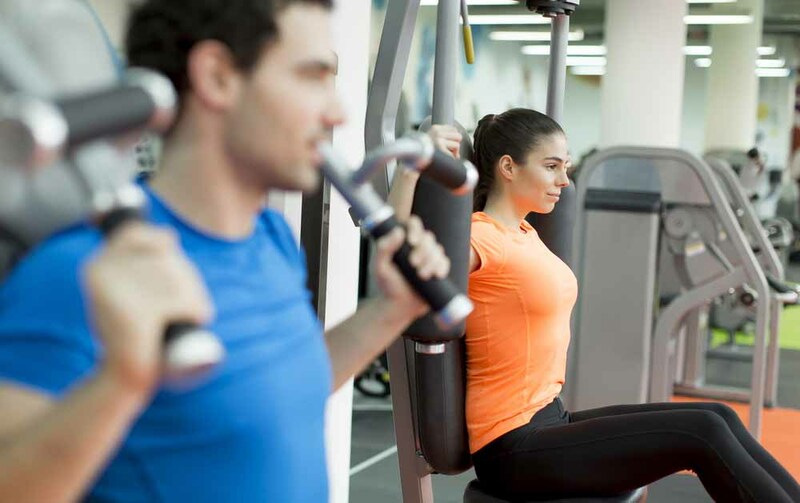 This option is available from most rental services that offer gym equipment and allows the renter to eventually own the equipment after renting for one to fifteen years. The store usually requires the individual to rent the equipment for a minimum period of four to six months, and cancelling the contract before this period ends will result in a high cancellation fee. Popular rent to own companies include Wright Exercise Equipment and Rent a Gym. When it comes to price, expect to pay anywhere from $50 to $120 each month to rent a quality treadmill. Some companies require a credit check prior to rental while others need two or three months of payments in advance to guarantee payment. Always read the contract carefully to find out about hidden costs like wear-and-tear charges, delivery and pick up costs, required length of the rental term, and any cancellation fees that may be charged. Also, keep in mind it’s usually possible to negotiate for a great purchase price from the company if you decide to purchase the treadmill outright before the rental term ends. When it comes to where and how to rent a treadmill, take into account other factors that may be important as well. Treadmill rental is not available in all areas, for example, so sometimes an online rental is necessary. Some companies only rent used gym equipment while others only rent out new machines. This may be important for those who want a top-of-the-line treadmill, or those who are interested in saving money to eventuallypurchase the machine. Brand selection may also be limited at certain places. Aerobic Fitness Rental, for example, is a rental company that currently offers only four treadmill models for rent. There are many popular rental companies today that offer treadmills. 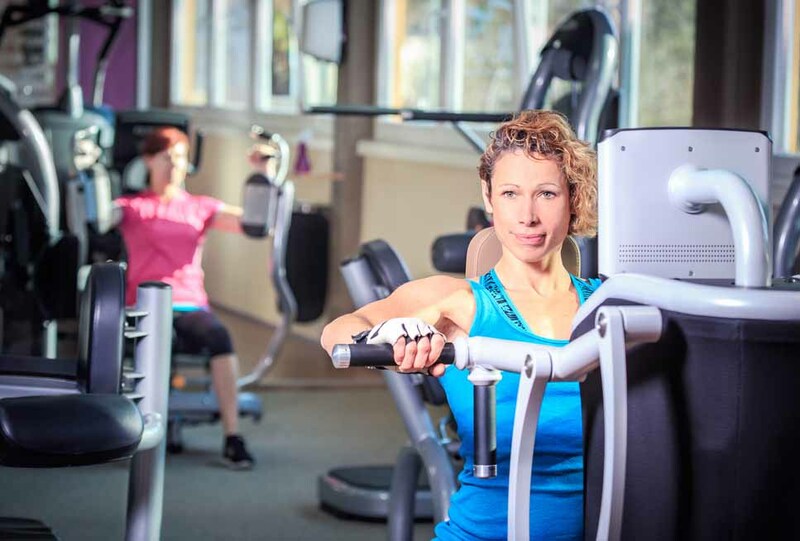 The most popular are Aerobic Fitness Rental, Wright Exercise Equipment and Rent a Gym. When it comes to how to rent the equipment, remember to read the contract carefully, stay within your budget, and consider factors like renting a used treadmill to save money.